Asian and Indian style dishes are a staple in this house, as both of us have a long-standing weakness for Chinese takeout and Indian buffets. 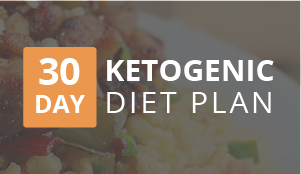 So, an Asian/Indian spin on a keto recipe is always a welcome addition to our recipe rotations, and this one is definitely a new favorite! 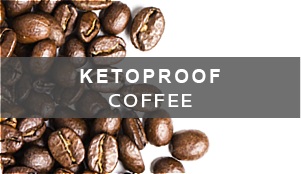 I grabbed this recipe from my friend Hazim. 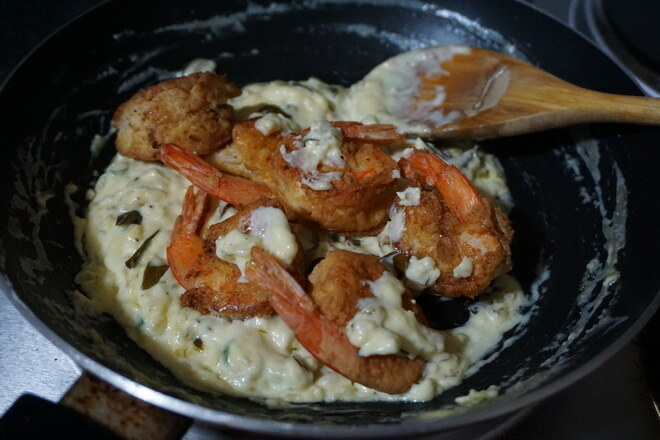 Originally called Buttermilk Shrimp in his home country of Brunei, this was a dish that was served in resturants everywhere. 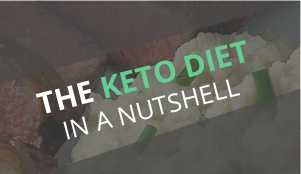 He’s worked hard to transform this dish into a keto-friendly recipe, and let me tell you – it is well worth the time he put in. 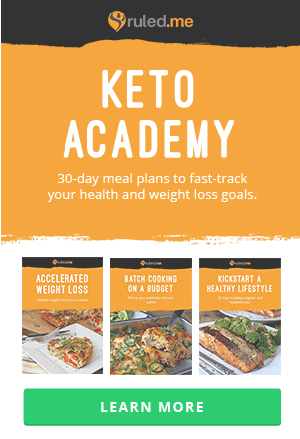 Although the cheddar cheese is optional, it adds a nice tanginess in the back of the flavor profile and really helps the sauce thicken up into a proper cream-based sauce. 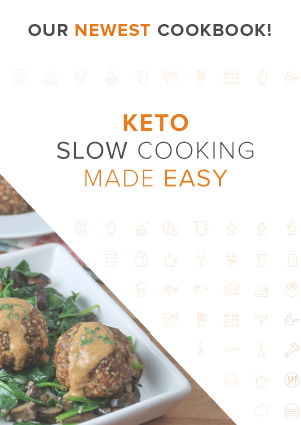 So, you can skip it, but you may want to have it on hand just in case you are wanting to slightly thicken the sauce a bit. 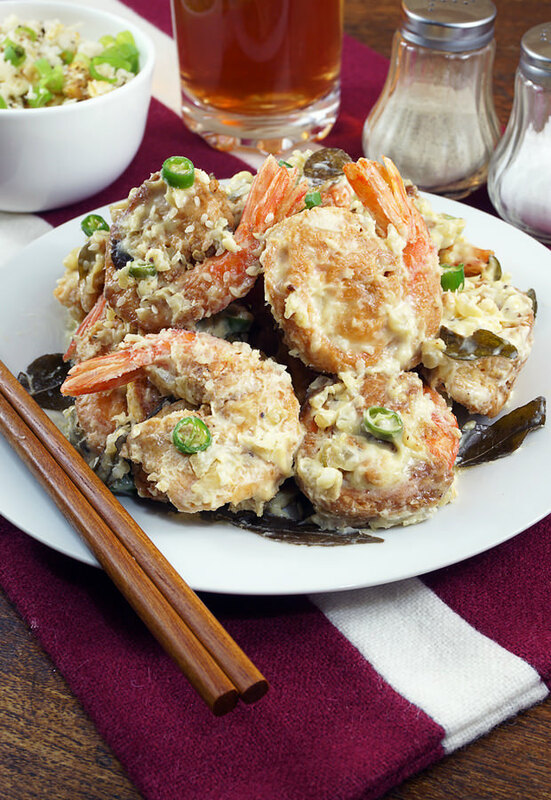 Feel free to add a few extra shrimp into the recipe to make the portion slightly bigger. Or, if you’re not a fan of shrimp, I have even better news for you. You can substitute the shrimp out for chicken thighs or pretty much any type of fish you want. 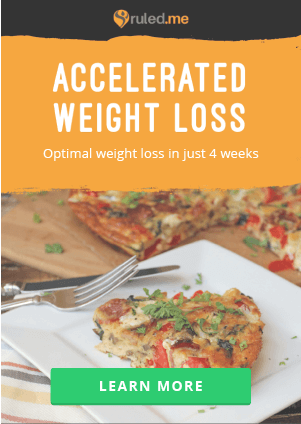 It works and tastes great with practically any protein you put in there! Note: If you can’t find thai chilis, you can sub these out with green chilis. If you have no curry leaves, just omit them as they are a very unique flavor and it’s hard to find a suitable substitute. P.S. This goes really great with a small bowl of Cauliflower Fried Rice on the side! *Remove seeds if you are not a fan of spice. 1. Remove the shells of the shrimps but leave the tail part if you’d like (optional). 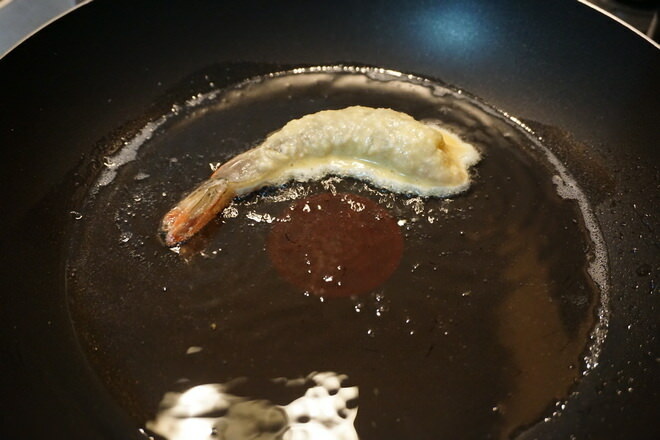 Gently cut the surface of the shrimps and devein. Clean well. 2. 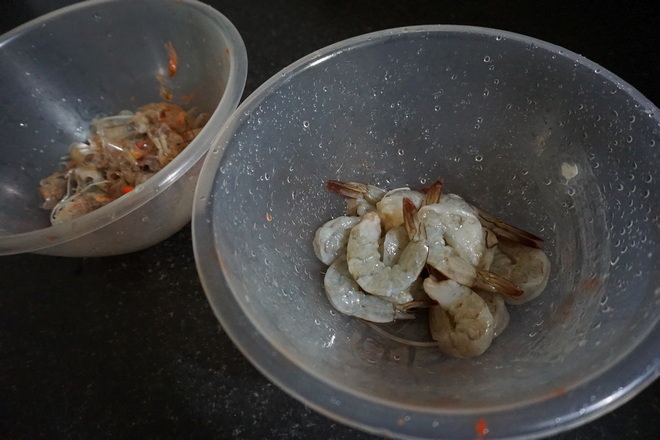 Pat the cleaned shrimps dry with paper towels. 3. In a bowl, add 0.5 oz. 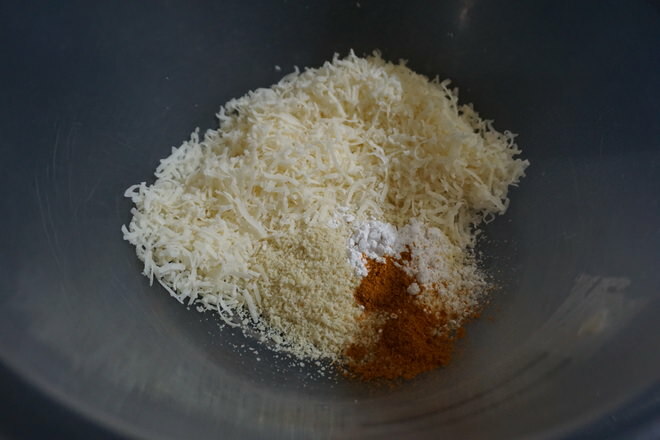 grated Parmigiano Reggiano, 2 tbsp. almond flour, 1/2 tsp. baking powder and 1/4 tsp. curry powder (optional). Mix well. 4. Into the mixture, add in 1 egg and 1 tbsp. water. Mix well until smooth. 5. Pre-heat a pan on medium heat. Add in 3 tsbp. coconut oil. 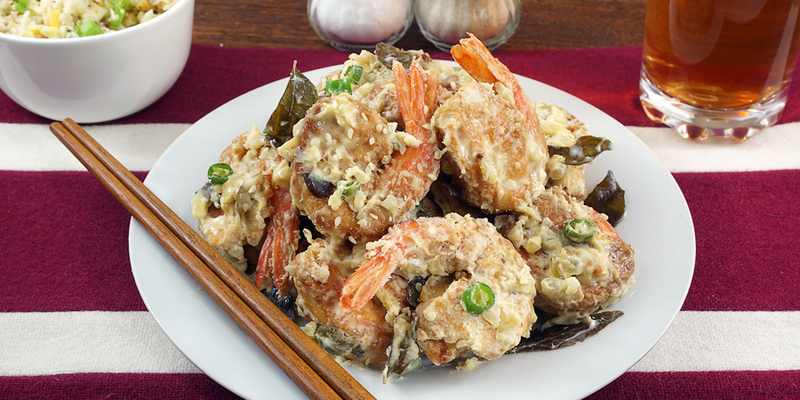 Once the oil is hot, generously coat the shrimps with the batter and pan-fry the shrimps. Do these two to three at a time. 6. Wait until the shrimps turn golden brown and then remove them from the pan. Put on a cooling rock. Pan-fry extra batter if any left. 7. Pre-heat a pan to medium-low heat. Add in 2 tbsp. unsalted butter. 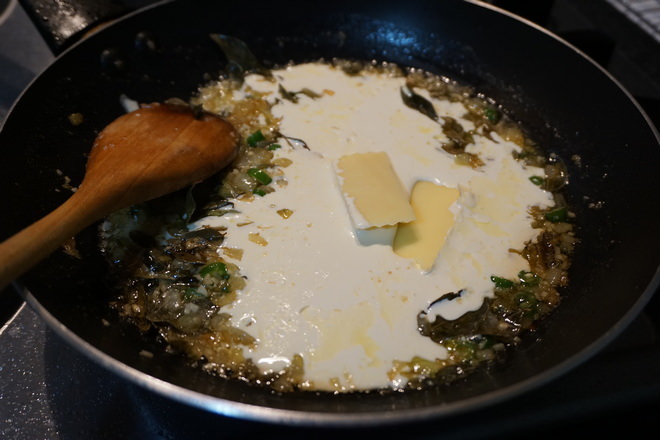 Once the butter has melted, add in 1/2 chopped onion. 8. Wait until the onion turns translucent and then add in finely chopped garlic, sliced Thai chilies and 2 tbps. curry leaves. Stir-fry everything until fragrant. 9. Reduce heat to low. Add in 1/2 cup Heavy Cream and 0.3 oz. mature cheddar (optional). Stir until the sauce thickens up to own liking. 10. Add in the battered shrimp and coat well with the sauce. 11. Garnish with sesame seeds and serve! Goes well with cauliflower fried rice. This makes a total of 3 servings. 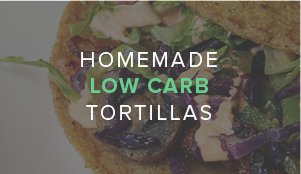 Each serving comes out to be 570 Calories, 56.2g Fats, 4.3g Net Carbs, and 18.4g Protein. Peel all of the shrimps, leave the tail part (optional). Clean well. 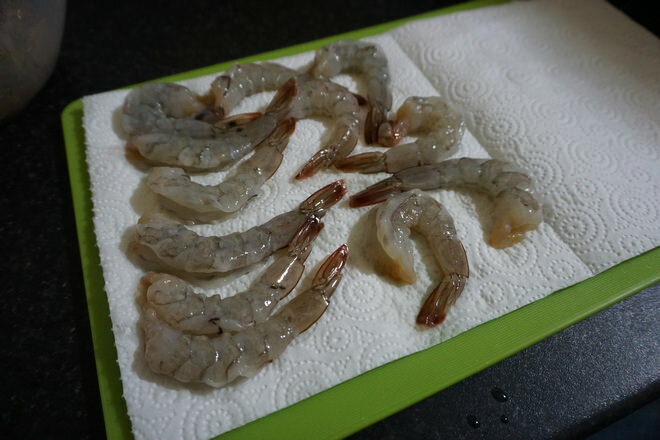 Pat the shrimps dry with a paper towel. 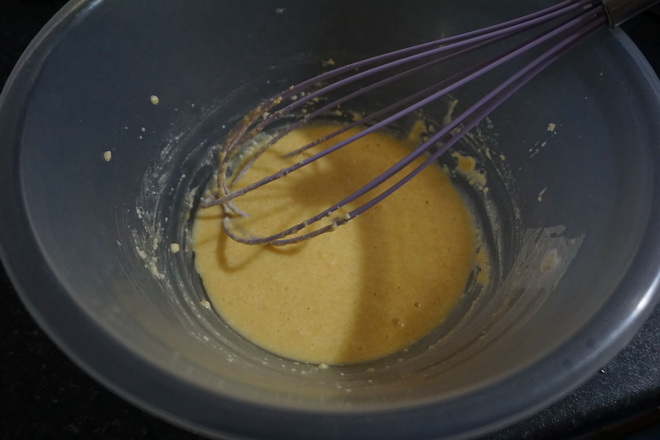 In a bowl, mix all the dry ingredients for the batter. Add in 1 egg and 1 tbsp. water, and mix well. Pre-heat a pan on medium. Add in 3 tbsp. coconut oil. 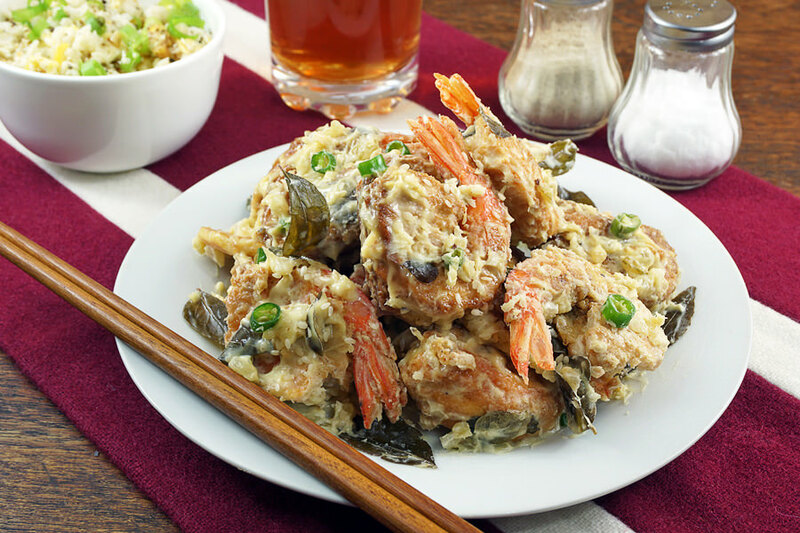 Generously coat the shrimps with the batter and once the oil is hot, pan-fry the shrimps. 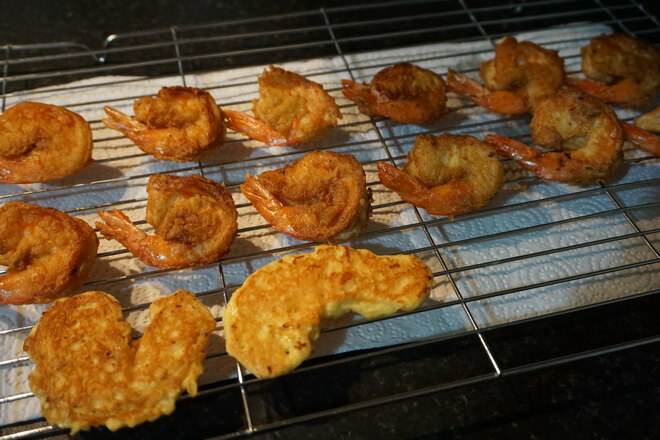 Once the shrimps turn golden brown, remove from the pan and put on a cooling rack. Pan-fry extra batter if any. Pre-heat a pan on medium-low. Add in 2 tbsp. unsalted butter. 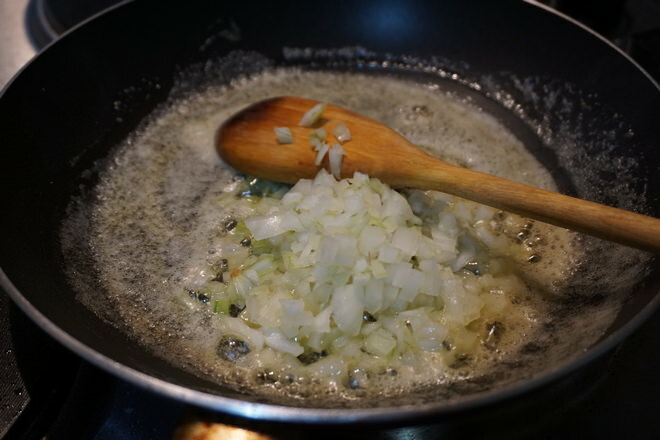 Once melted, add in 1/2 chopped brown onion. 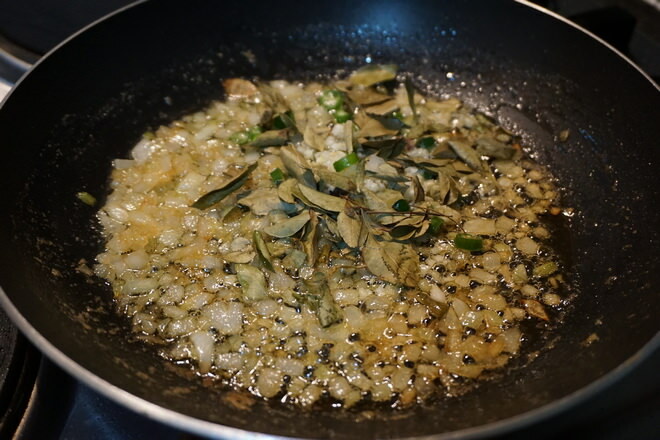 Once the onion turns translucent, add in finely chopped garlic, sliced Thai chilies and 2 tbsp. curry leaves. Stir-fry until fragrant. Reduce heat to low. Add in 1/2 cup Heavy Cream and 0.3 oz. mature cheddar (optional) and stir until desired thickness. Add in the battered shrimps and coat well. Garnish with sesame seeds and serve!